Home / Government / PhilGov / Politics / CJ Corona’s Waiver: Too Little Too Late or a Brilliant Ploy? 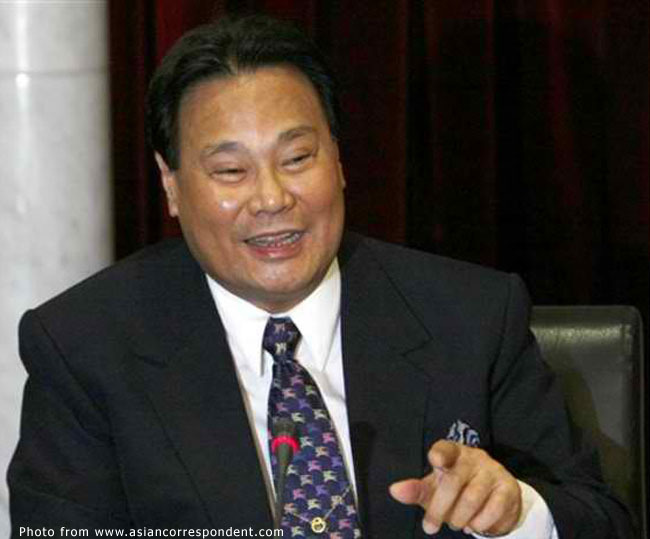 CJ Corona’s Waiver: Too Little Too Late or a Brilliant Ploy? It is so easy to brand CJ Corona’s act of finally submitting his waiver this afternoon – having ditched his precondition – to the Presiding Judge and granting the Impeachment Court access to his dollar accounts as too little too late. I, for one, certainly did. Think of all the trouble that could have been spared – for one, a lengthy caucus to decide whether to abide by or disregard a TRO preventing the opening of said accounts – had Corona produced the goods when there was such a big to-do about these. On the other hand, common sense dictates that the burden to produce the proofs is always on the one making the accusations; else citizens can be sent behind bars on mere whims. In fairness, Corona did say over and over that he would reveal everything – but at the right time. So thus, with bated breaths, we all sat up last Tuesday with anticipation as he theatrically signed the waiver in front of a nationwide television audience... But only to just as theatrically append the precondition that he would hold onto the waiver and submit it only after his accusers in the House of Representatives – plus one Senator – had signed a similar waiver. Cue then for the much-maligned ‘walkout’ – which he took great care to say today was not at all one – and we all felt that he threw away his one big chance to turn this around with that moment of either impulsiveness or petulance. How do you become Chief Justice, however, without being wily in the ways of the court, impeachment or otherwise? Today, after seeing the spontaneity with which he revealed to the court his lifetime savings of US$2.4 million – paltry if one considers the amount of time it took to save it – one then wonders about the reasons for the seeming initial reticence to divulge the accounts’ contents as well as the annoying precondition of making everyone else sign. Think about it, though. Had the waiver been submitted last Tuesday, then all the attention would have been focused on his dollar accounts and nothing else. A couple of days later – it was always a foregone conclusion that nobody else would sign – and there were noises within Congress itself about the need for EVERYONE to be transparent. Among the premises of the defence has always been that the Chief Justice was being singled out for alleged lapses that many others in government are similarly guilty of. Holding onto the waiver, when I come to think about it now, was merely to reinforce that premise. Congressman Niel Tupas tried his darndest to sound nonchalant when quizzed by Senator Escudero about what the prosecution intended to do with the waiver; and in fairness, Tupas’ reply was most appropriate. Was it just my eyes, though; or did he look a tad uncomfortable and even fidgety? I will not even conjecture about the Chief Justice’s two days in the hospital because to do so will be disrespectful; but if those in the House of Representatives have likewise become fidgety, then the ploy of holding onto the waiver would have achieved what it intended. No, not so much because their own bank accounts may suddenly become subject to similar scrutiny; but more because the defence seemingly succeeded in showing that what the Chief Justice was accused of, many in government seem to be doing as well. In so doing, the defence moved its government conspiracy theory a notch up the ladder. At any rate, the ease with which the Chief Justice fielded the questions that were hurled his way by the Senator Judges this afternoon was almost an anticlimax; and particularly so after the fireworks with which Tuesday’s session ended. Most pundits agree that the judges’ votes would come down to whether the Chief Justice, by not including his dollar accounts – and amounts in his peso accounts which he claimed did not belong to him – in his SALN, is unfit to hold such a distinguished position. Nobody seems to think that accusations of partiality would prosper, since Supreme Court decisions are made by a collegial body. While the spontaneity with which the Chief Justice replied to the questions today makes it so easy to come to the conclusion that he was telling the truth, the absence of documentary evidence, as Senator Cayetano so correctly pointed out, still leaves everyone with one headache-inducing question to ponder. Who, pray tell, is telling the truth? Many are convinced of his guilt, notwithstanding the fact that ‘innocent until proven guilty’ is also among the primary principles of a democracy. In truth, how many of those who are not in government’s inner circles really know? We are all just conjecturing based on the pittance that we are allowed to see and hear.